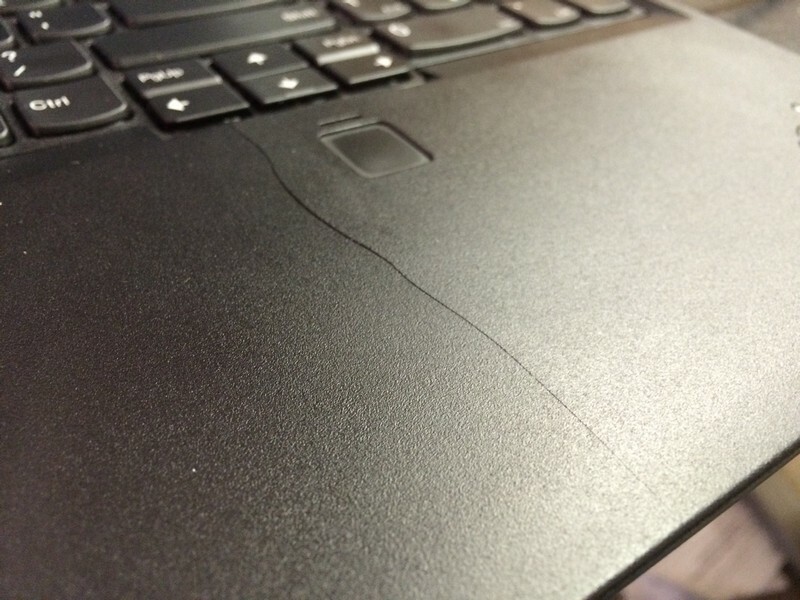 My P50 is less than two months old and it has developed two cracks in the palmrest. They both run almost the entire depth of the palmrest. I use the laptop 80% of the time in a docking station, so the amount of time that the palm rest has been in contact with anything is minimal. This is disappointing from a new laptop. I'll contact Lenovo and see what they can do for me. I REALLY don't want to have to send the whole thing back to Lenovo since I am self employed and my whole business is basically on it. How to I contact Lenovo about a crack in the case? I can only find contacts for "Place an Order", "Check on an Order", and "Return". I don't want to do any of those. Call the service support line. Give them the model number, serial number. The keyboard bezel is a CRU (customer replaceable unit). The is a service video that will guide you through the removal and install steps. Should take you about 10 minutes tops to complete. - They could not locate a part number for the P50 keyboard bezel. - A cracked keyboard bezel is not a warranty item, since it must have happened from accidental damage. - They suggested I send it for a Depot Service, which will cost me since it is not covered under warranty. The implication is that when I send it to them, they will be able to find the part number for the keyboard bezel. This is all pretty frustrating. I purchased this laptop with a dock and it spends well over 90% of its time in the dock. The damage to the bezel is absolutely NOT from accidental damage. I believe that it was installed incorrectly, which led to the cracks. It always felt like it was bulging at the location of the fingerprint reader, so it's no surprise to me that the largest, deepest, most complete crack is right next to the fingerprint reader. Having said that, if Lenovo wants to play hardball on the issue of accidental damage then I am willing to purchase a replacement keyboard bezel and install it myself. However, since Tech Support can't find the part number, does it make sense that I should send in the laptop so that someone else can locate the correct part number? I honestly can't afford to be without my work computer for more than a day or two, so that answer is a non-starter, especially since I'm not exactly confident that whomever I send it to will be able to get a replacement keyboard bezel. First question: Is there a way to find out the correct keyboard bezel part number? Will it be stamped on the underside of the bezel? Is there a different resource for finding the part number? Second question: Once they are able to locate the part, how do I convince Lenovo that this is not a case of accidental damage, but rather an error in assembly that led to undue forces cracking the plastic of the bezel? I appreciate any help at all. 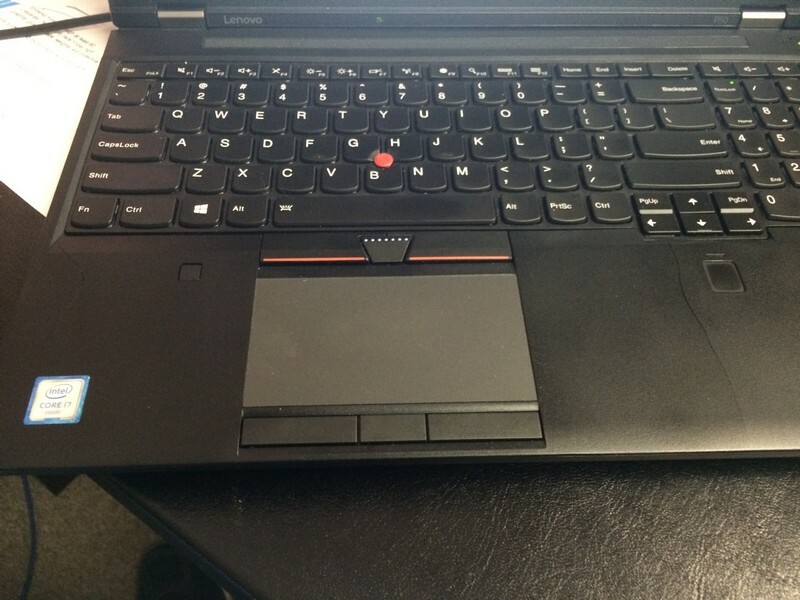 Until then, every time I open up the laptop lid, it's going to be a frustrating reminder of Lenovo's inability to locate a replacement part and stand behind their warranty. I've been a fan of IBM/Lenovo products for decades. I'm hoping for a happy ending to all this. I do not see a keyboard bezel in the list. However (just guessing here) look under the heading "Mechanicals" at "Upper Case ASM,w/FPR". There is one listed with the color sensor and one without. This could be the keyboard bezel, or maybe some component under the bezel. Someone who has removed the bezel from his P50 might be able to give you a hint. If this part is the bezel, it would explain why no one you spoke to could find it. Purchasing from IBM Parts, those would cost $74 / $128 respectively. Because the machine type is still rather new, I did not see many wholesale / Ebay listings out there for parts. Googling "P50 palmrest" got one result, but if you did purchase it it you would have to move over the fingerprint scanner and touchpad from the old assembly to the new. It can be frustrating, but I know that cracked plastics are extremely difficult to get covered under warranty. While I certainly believe you are being honest, if this came in to my shop I would suspect that something heavy dropped down onto the bezel. There's almost no flex in the plastic above that area as it houses the battery and HDD cages. Thanks for the parts list. That may help me get the part I need. I'm going to try to order the part. I'll report how it goes. As suspected, technical support refused to see this as a warranty issue. Their reaction was basically "It's a plastic part, so it's your fault." This is very disappointing. I expect some understanding. In fact, today when I spoke to technical support I asked if it might be possible that something was installed wrong which led to the cracked plastic. I was told "It's possible, but not likely." In other words, "we're playing the odds here and choosing to call you a liar." It looks like I'm going to spend the $74 to get the part. Hopefully when I remove the old bezel, I can figure out why the fingerprint reader is bulging since this is likely what led to the crack in the first place. Let us know what you find, interested to hear if there was a installation issue. 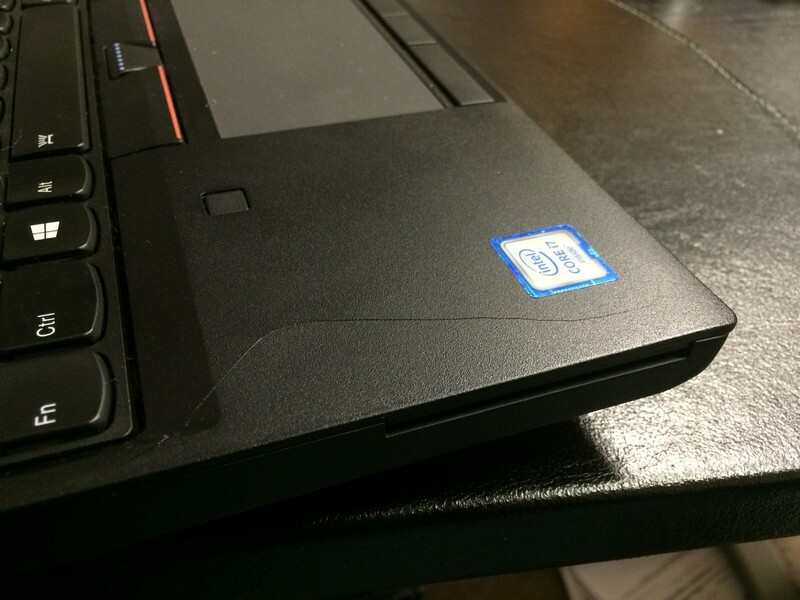 My P50 has very slight flex around the fingerprint reader, but it takes some purposeful force to replicate it. My P50 has crack on the keyboard bezel without any impact or drop dowm. the crack developed for itself 3mon. after the purchase. Does anybody has same issues or advise to fix it? Sorry you're having this issue. By chance, are you picking up and/or carrying the laptop around by either of the front corners?